You've Graduated... Now What?! You've Graduated... Now What?! You've Graduated... Now What?! You've Graduated... Now What?! Building amazing relationships from the beginning – Getting people to WANT to work with you. Building amazing relationships from the beginning – Getting people to WANT to work with you. Building amazing relationships from the beginning – Getting people to WANT to work with you. Building amazing relationships from the beginning – Getting people to WANT to work with you. A leader is someone who influences others to achieve a set goal. The position that one holds in office is not a warrant of leadership but it is useful in the sense that that leadership position decree people to listen to you and this gives a good start point to someone who want to be a leader. Leadership is a problem solving hypothesis that entails a combination of skills that drives a team to achieve their set goals. You need to be a successful leader? Then you need inspiration, good communication skills, courage and above all creativity to be able to jump into the dark and come out with triumph of success. 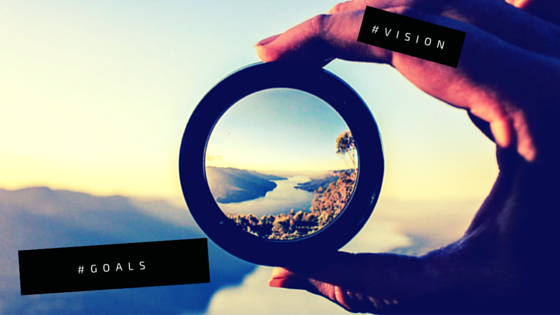 Not everyone is able to see the visions of an organization clearly. As a leader, inspiring your team to see the future succeeding is crucial. Make everyone- weather they have shares or not- feel that they are invested in the project or company. Inspiring your team is important in focusing on the future goals and current issues that determine the future. Being busy all the time lowers the morale of the team and also the ability to work lowers down. Acknowledge the effort of your team and appreciate their work. It is a leader’s work to keep the morale f the team burning. Thinking about what you want about the future might be very precise in your mind but if you cannot express it to someone else, then there must be a problem. As a leader you ought to have the skills to describe what you want to be accomplished. If you cannot communicate your vision to your organization team then you might be working along different lines of dreams with the rest of the members you are leading. Establishing a workable environment depends on good communication lines. There might be policies that guides the organization, or rules that defines the daily duty of the organization but availing yourself as a leader to the people you lead to discus and clarify issues is very crucial to your organization. Your group always adapts to trust and depend on you. Therefore, your communication skills will determine the way people work out. A smooth road defines no leadership. In fact, nothing can be achieved without challenges for you will not have something to work for. There may be times when your brand will experience challenges that will threaten its future but the best is not to worry. As a leader you ought to keep the peoples hope burning and maintain their morale high. This might not be possible when you are afraid to take the challenges and inspire your people. Remember your team is always looking at you. As a leader the best you can do is to keep calm and raise your confidence level. Make sure you assure your people that challenges are normal and it’s only for the courageous who will overcome it and achieve the major goal. As a leader you might be forced sometimes to think outside the box and make meaning full decision. Sometime someone might deceive you to do something that will cost the whole organization to fall down or that will cost your job. Being creative to such situation is vital so as to maintain your job and also save the organization from capsizing. MGA Business Consulting offers a hands-on Management and Leadership Training Program to qualified candidates and employees. Find out more about current job openings on LinkedIn.